ELIZABETH CITY, NC – The North American International Auto Show is underway in Detroit and if you can't make it up to Michigan to check out one of the most amazing auto shows, we're here to bring the Chevrolet display to you! With their display this year, Chevrolet is putting the show back in auto show to deliver a memorable experience. 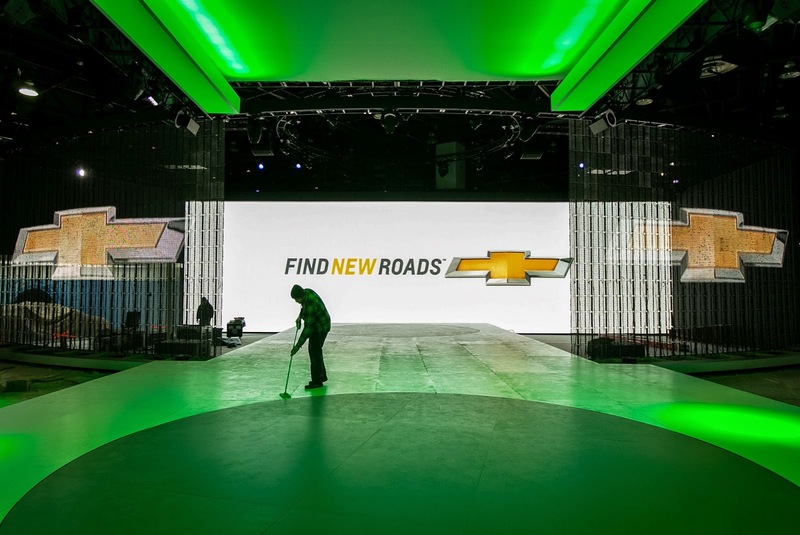 At the 2015 North American International Auto Show, Chevrolet has made full use of state of the art technology to connect with show-goers and demonstrate how the brand continues to find new roads. Enter Chevy's display to take a stroll down Main Street (or the center aisle) and you'll be greeted by six 20 ft. tall transparent screens that orchestrate LED lighting and music to tell the brand's story, including highlights on dependability, performance, the power of play, available in-car OnStar 4G LTW Wi-Fi, and more! Along the way, you can take in the Corvette Z06, Chevrolet Trax, and Chevrolet Colorado before you get to the new 2016 Volt and huge 73-foot-long, 20-foot-tall theater at the end of the road. There you'll find a safety experience demonstrating how Chevrolet's vehicles are designed to keep you safe by preventing, protecting, and responding. Last but not least, before you leave the display, you can take a crash course in crash avoidance technologies like Lane Departure Warning and Forward Collision Alert. Plus, this is THE event where automakers make all of their big announcements. So if you can't make it to the Chevrolet display at the North American International Auto Show, stay tuned to our social networks for updated information from the show! Perry Auto Group has two dealership locations to serve you better at 1005 W. Ehringhaus St, Elizabeth City, NC, 27909 or 1001 Halstead Blvd Elizabeth City, NC 27909. Stop in for any of your auto or community needs, or feel free to give us a call at (252) 338-9100.